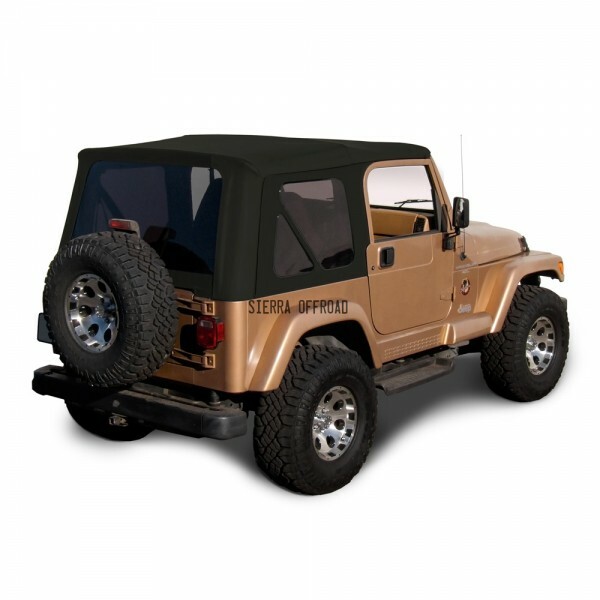 With this premium fit Sierra Offroad Sailcloth Jeep Soft Top you can take full advantage of your still good factory hardware and get an upgraded, heavier sailcloth fabric with new tinted windows. 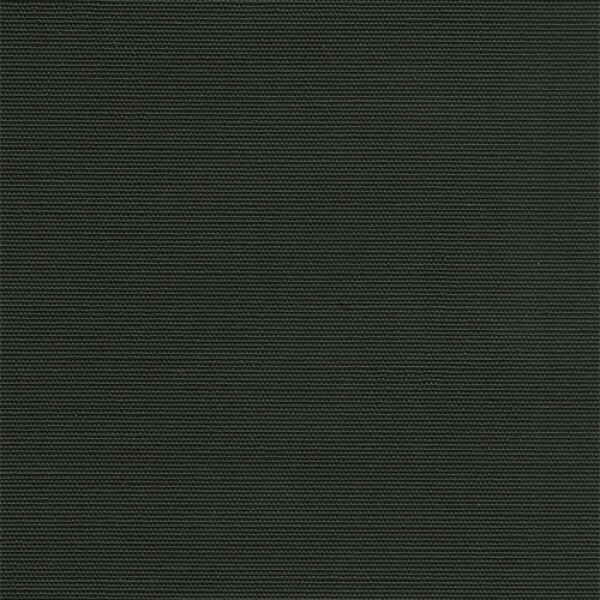 This item is made from Black Sailcloth Topping material. You get the genuine factory style replacement product, plus full manufacturer warranty & support. The SIERRA Offroad soft top fits directly on your factory-original hardware so no new hardware is needed. Constructed from specialty fabric that stretches for fast installation and returns to its original shape for tautness. It allows you to open your tailgate without opening the rear window. ABOUT THE MATERIAL:This upgraded material is Sailcloth Vinyl. 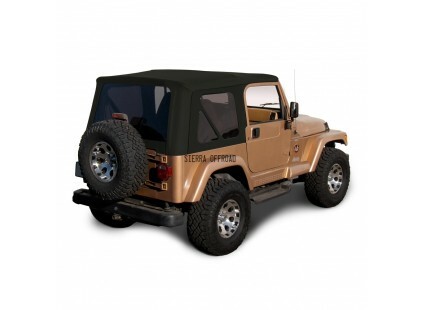 Sailcloth is an original material for the 1997-2002 TJ series Wrangler with the "sail grain" pattern on the exterior. Sailcloth has superior performance characteristics compared to either Denim or Diamond and will last considerably longer. Sailcloth also has enhanced acoustic properties that lower the noise levels at highway speeds.